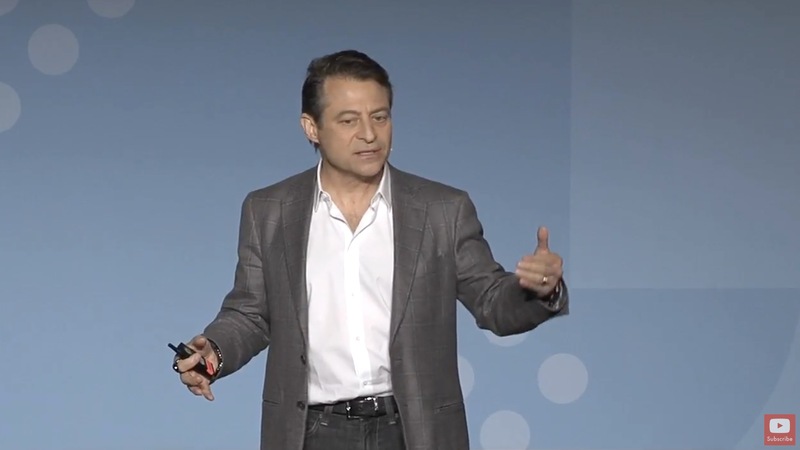 Fortune Magazine recently named Peter Diamandis as one of the World’s 50 Greatest Leaders. Diamandis is the Founder & Executive Chairman of the XPRIZE Foundation, which leads the world in designing and operating large-scale incentive competitions. He is also the Executive Founder and Director of Singularity University; a global learning and innovation community using exponential technologies to tackle the world’s biggest challenges and build a better future for all. As Dr. Diamandis will detail, much of this transformation is a result of rapidly accelerating exponential technologies such as Infinite Computing, Artificial Intelligence, Robotics, 3D Printing, Sensors, Networks, and Synthetic Biology. During this Keynote, you will get a real sense of exponential growth, the origins of Moore’s Law, and understand how the 6 D’s — Digitization, Deception, Disruption, Dematerialization, Demonetization and Democratization — will impact your products and services. Understand how the 6 D’s — Digitization, Deception, Disruption, Dematerialization, Demonetization and Democratization — will impact your products and services. Identify opportunities to innovate and transform your own business model before someone else does. Diamandis is the New York Times bestselling author of “ABUNDANCE – The Future Is Better Than You Think” (#1 on Amazon, #2 on NYTimes). In this book, Diamandis shows us how technology is turning areas of scarcity into abundance. This bold, contrarian view, backed up by exhaustive research, introduces our near-term future, where exponentially growing technologies (AI, Robotics, Sensors, Networks, 3D Printing, SynBio, etc.) and the power of the crowd are converging to better the lives of billions. Today a company’s success depends on mindset, its use of exponential technologies and the power of crowdsourcing. This keynote, based on Diamandis’ bestselling book BOLD, examines the approaches required to succeed during this exponential age. Diamandis explains how a Massively Transformative Purpose can drive your organization’s culture and help you attract the best employees. He examines the innovation principles used by GoogleX’, and the power of bold, “moonshot” thinking. He details how entrepreneurial billionaires like Larry Page, Elon Musk, Jeff Bezos and Richard Branson think — and what strategies they use to scale and disrupt.